If you haven’t started watching The Good Place, start now. You’ll get at least three seasons and they’re worth your time. 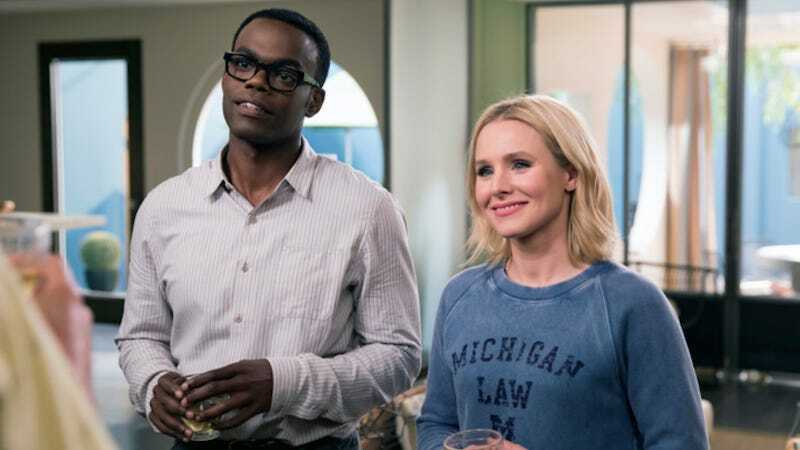 According to The Hollywood Reporter, the Mike Schur comedy starring Kristen Bell and Ted Danson has been renewed for a 13-episode third season. It joins This Is Us and Will and Grace for NBC’s list of early renewals for 2018-2019. The delightful series and its exquisite ensemble cast of utterly charming protagonists will hopefully continue to light up our lives for several seasons to come. Though, traditionally, most series get whack around Season 4. How many more twists can this show deliver? Perhaps The Good Place is actually designed to torture Michael? Is Vicki God? Will Adam Scott ever come back? Will Mindy St. Claire ever get her coke? And will Eleanor and Chidi finally get together, and ruin everything? Please debate in the comments.